Today’s Port Saint Lucie listings represent a giganti leap forward in terms of market efficiency. It’s hard to imagine a speedier and more convenient way for prospective home buyers to examine the array of Port Saint Lucie properties currently being offered. For the sellers, too, the Port Saint Lucie listings provide a matchless system for examining the neighborhood competition. In a matter of minutes, homeowners can make certain that their offering is positioned in line with what the current market supports. The Port Saint Lucie listings are also extremely fair in how local homes for sale are presented. On most sites, properties are given the same amount of space in blocks that are scrupulously identical. Since every property is shown using the same format, it’s extremely even-handed— From the real estate marketer’s point of view, that quality also makes it extremely annoying. The thing is, the very last thing in the world a marketer looks for is fairness and even-handedness in presentation. A major tool for any marketer is the use of superior graphics and design to make their product stand out from the competition. In Port Saint Lucie real estate terms, the last thing a marketer seeks to produce is a presentation that’s exactly the same as everybody else’s. But there’s little choice. Since the Port Saint Lucie listings are far-and-away the leading funnel through which first contact with potential buyers is made, the cookie-cutter uniformity of the Port Saint Lucie listing formats are a hurdle that has to be overcome. One of the factors that marketing experts strive to identify is sometimes called the “X-factor.” As was true on the X-Factor TV reality show, it refers to an elusive quality or feature that makes one thing stand out from other similar competitors. When it comes to real estate, a prime objective is memorability. When there are many listings, it becomes all too easy for a property to get lost in the shuffle. But if a house is lucky enough to be architecturally unique, its X-factor can simply be its signature glamor photo: the “curb appeal” shot. Even if every listing is restricted to a same-size slot, if the shot is sufficiently eye-catching, the house will be a standout, and the marketing challenge will be met. The technical details (asking price, number of bedrooms and baths; square footage, lot size, mechanicals, etc.) may add up to a magnificent value story, but since there can be other offerings with similar features, that may not help overcome the even-handedness of the listing format. What’s left is the descriptive language—the short blurb that becomes the one other opportunity to present an X factor that will stick in prospects’ minds. A good example might be a phrase that introduces a sociability factor, like “great for entertaining!” Others may describe unique views or the convenience of a prime central neighborhood location. Making the most of the messaging opportunities possible with each of the many different electronic and other media is decisive in today’s real estate marketplace. When it’s time to add your property to the Port Saint Lucie listings, I hope you’ll give me a call to discuss creating the marketing approach that gets your job done! Florida Appraisal Fees on the Rise…then Not! The change will directly affect Florida buyers and sellers because the issue will impact the cost of Florida residential real estate transactions—specifically, in the area of home appraisals. An appraisal, on the other hand, can be key for potential lenders in determining what is the collateral value of a property. Even if a buyer is willing to pay $400,000 for a home in Port Saint Lucie, if the appraiser estimates the value at $320,000, it’s going to be all but impossible to find financing for the sale at the higher price. That’s not the only reason appraisals are financially vital. The appraiser gathers information about the property itself, looks at the recent transactions in Port Saint Lucie, Florida to determine market conditions, and comes up with a likely market value—the amount buyers would probably be willing to pay. It’s a guess, but a highly informed one. In the previous decade, the world saw how important accurate appraisals (and the decisions based upon them) could be. When a combination of circumstances led to appraisals that gradually became more and more over-optimistic, banks offered mortgage loans that were too disconnected from the value of the property and the ability of borrowers to repay. When it became clear that an avalanche of foreclosures was inevitable, we saw what happened: global financial meltdown. 8201 Kiawah Trace home for sale in PGA Village Port St. Lucie community. Home features magnificent Belair floor plan located on the 6th hole of the Fazio’s Ryder PGA championship course! Breathtaking views of this home with 4 bedrooms, 3.5 baths plus den, 3 car garage side load with decor pavers driveway. Large screened patio overlooking golf course facing west with entertainment area, summer kitchen with refrigerator and Corian counter, patio awning, heated pool and spa with Hayward navigation cleaning system. Beautiful kitchen with Corian countertops, center island, snack bar, wine cooler, large pantry with wood built-in shelving, beverage refrigerator matching cabinetry, 5-6 burner cook top. Upgraded carpet in bedrooms, master bathroom separate shower and tub, second and third bedrooms with Jack & Jill bathroom. Fourth bedroom next to cabana bath for easy access to pool area. Additional upgrades include crown molding, accordion hurricane shutters, impact glass in master bath over tub and living room top section, diagonally laid ceramic tile flooring, glass insert front door, plantation shutters and sunburst, 80 gallon hot water heater replaced, Lennox a/c unit with 10 year warranty replaced, termite bond with Massie Services, window tint in some areas, Hunter Douglas Applause Honey Comb Shades in living room, Horizon Roman Shades and much more! A must see luxury home located in Pinehurst section of PGA Village Golf and Country club private community. PGA Village is a private manned gated and roving patrol 24-hours a day community. PGA Village features thirty-four distinctive upscale neighborhoods situated for privacy with scenic panoramic water and golf course views. The Legacy Golf and Tennis Club at PGA Village is a non-equity private club offering 27 holes of fantastic golf for all skill levels designed by Tom Fazio. PGA Village 54 holes championship golf course were designed to surround golfers and protected species in the serenity of a 430-acre wildlife sanctuary. The PGA Golf Club also includes a 6-hole short course, plus the new PGA Learning Center with over 35 acres of golf fun for players of every age and skill level. Relocating To Florida? If you’re looking to buy a home in Stuart Florida, it’s time I got on your radar. Help us out by selecting the communities you wish to receive updates about, and choose from resale and new homes ready now, new homes ready in 30 or 60 days, or all homes! It’s that simple sign up now! 55Plus Cascades community features great home with 2BR, 2BA plus Den! If you have an inquiry about this listing, please contact us and a real estate specialist with be in touch within 24 hours. New home for sale now $229,900!!! We know all the Communities, New Homes, Furnished Models and Builders. We can even save you money on Pre-Construction properties and find you a model lease-back money opportunity. 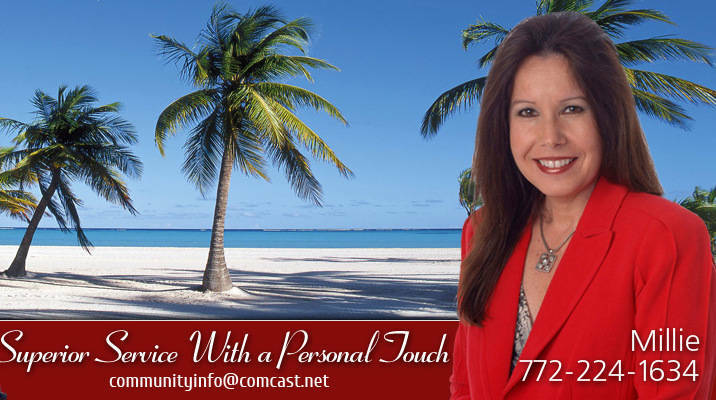 Please contact us for your customized real estate tour of your desired Florida community. We will send you all the information you need to find or build your dream home. Our Buyer representation is FREE to you! New construction prices from the $190,000 to $300,000! VITALIA Port St Lucie is an all-inclusive New 55 Plus active adult community in Port St Lucie, Florida. VITALIA is nestled into 8,300 acres of a master planned community that includes sidewalks, shopping, beautiful lakes, year-round community events, hotels, restaurants, shopping, new hospital.If you are looking for a new home on the Treasure Coast in a new community, then VITALIA is your choice!